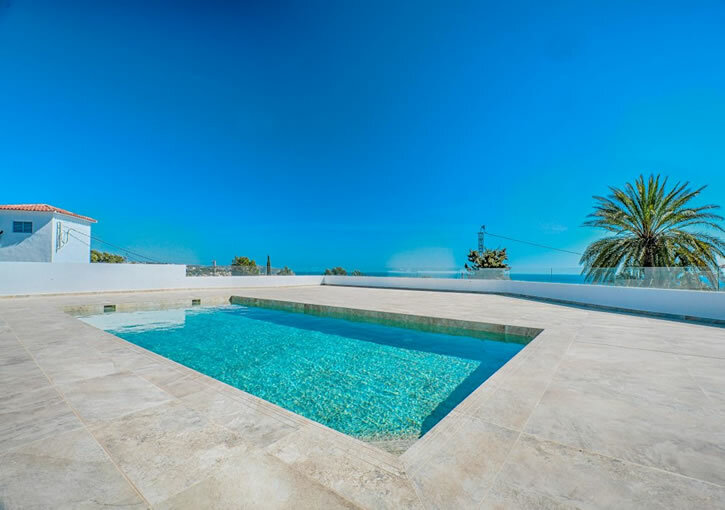 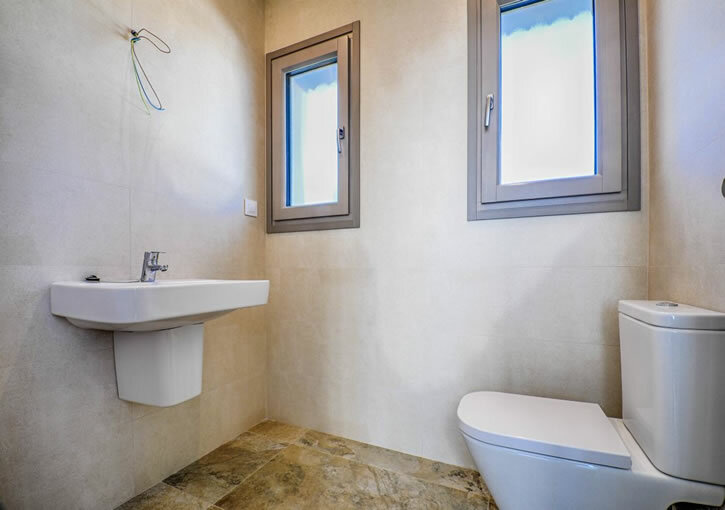 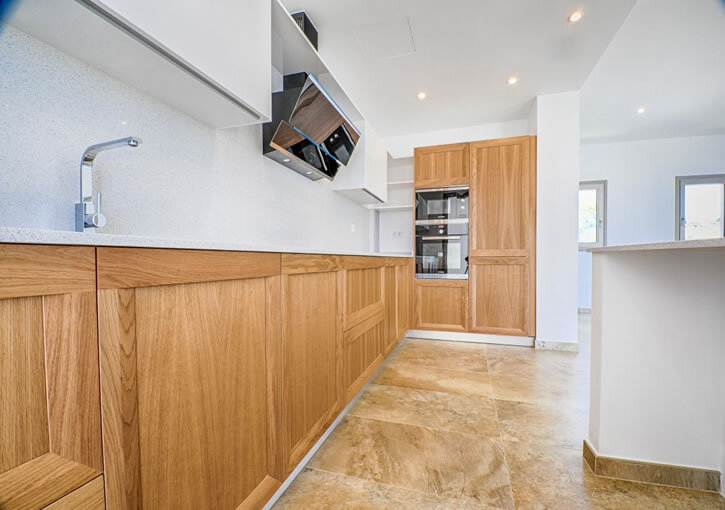 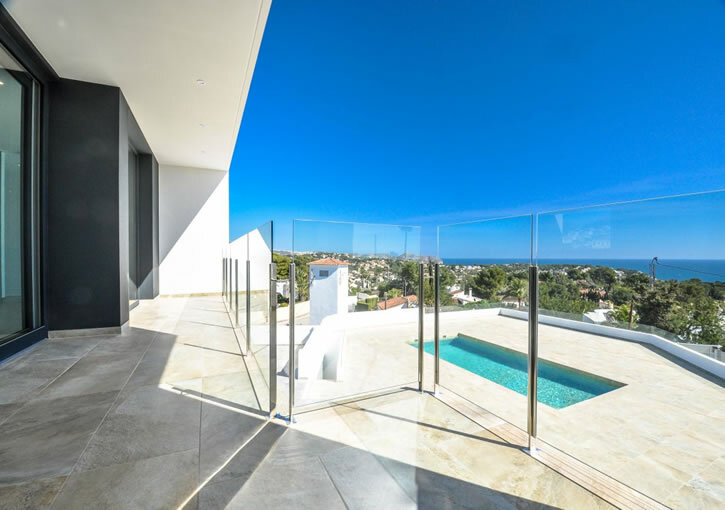 This beautifully designed sea view villa is located on a large corner plot of approximately 1600 m2, only a few minutes’ drive from Moraira and the beach. 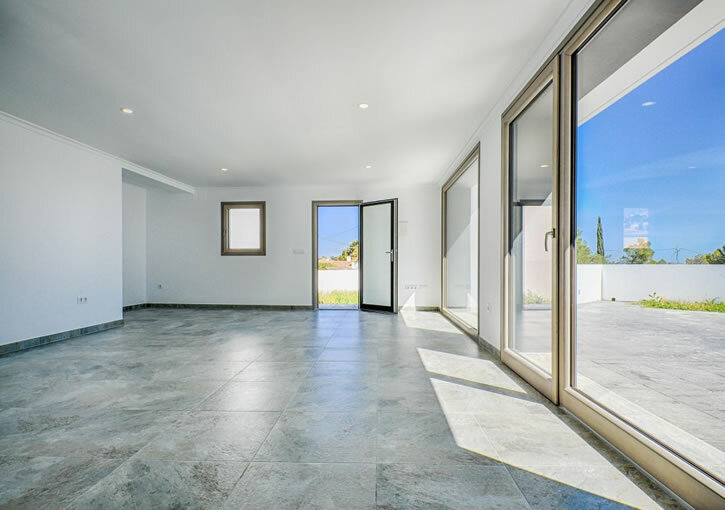 The villa is built according to North European quality regulations and materials; a combination between very thick solid reinforced concrete walls and highly insulating cellular concrete walls (Ytong), high quality triple glazed exterior carpentry by the German top brand Döpfner with extreme security specifications, double hot water sources in combination with solar panels, underfloor heating, ducted air conditioning, etc. 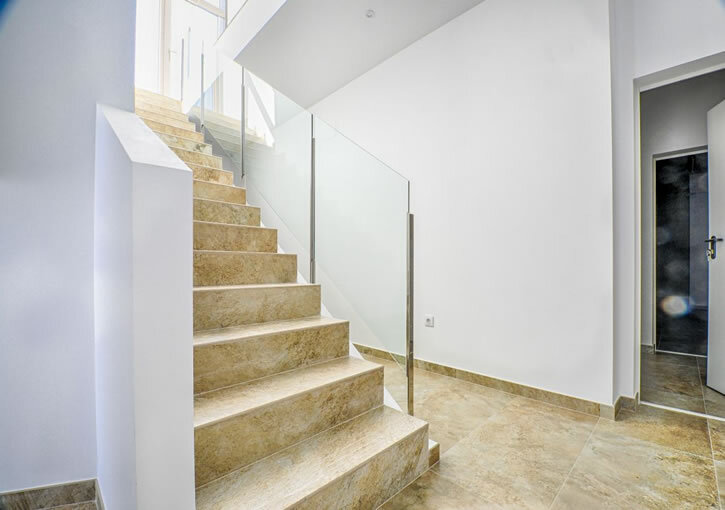 The villa consists of 3 floors, which are also accessible by a high-tech elevator. 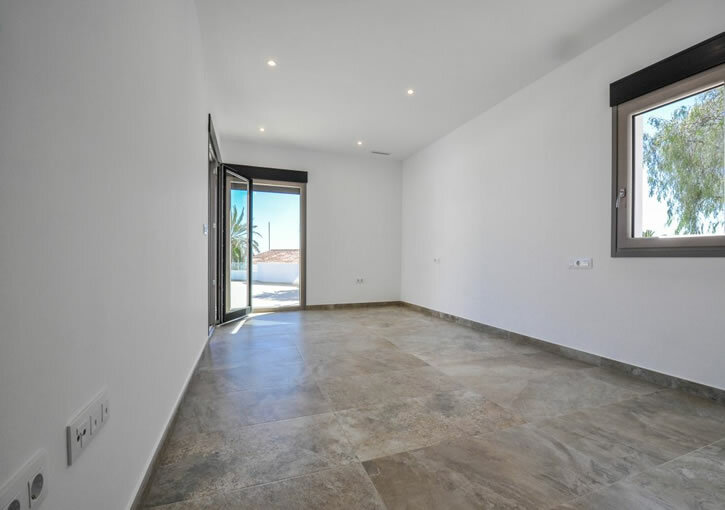 On the ground level there is a complete self-contained apartment with a living room, pre-installation for a kitchen, a bedroom with dressing room, a large bathroom and a private terrace. 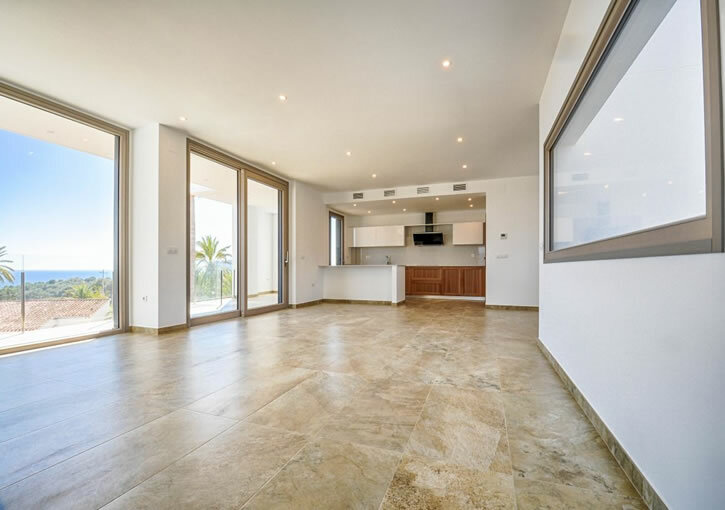 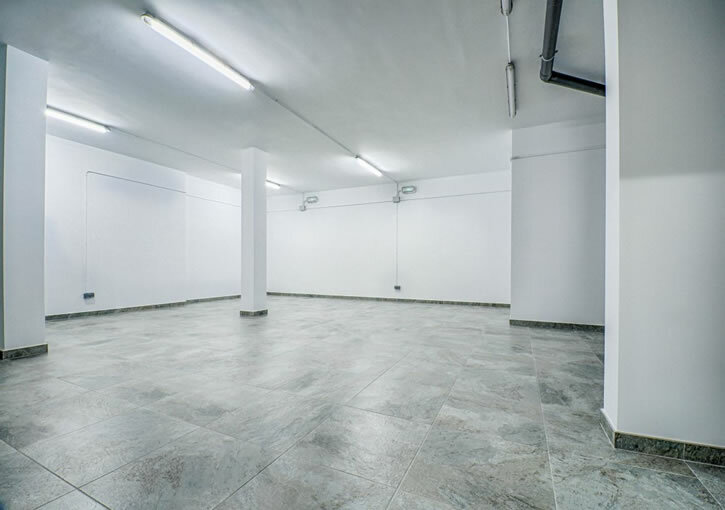 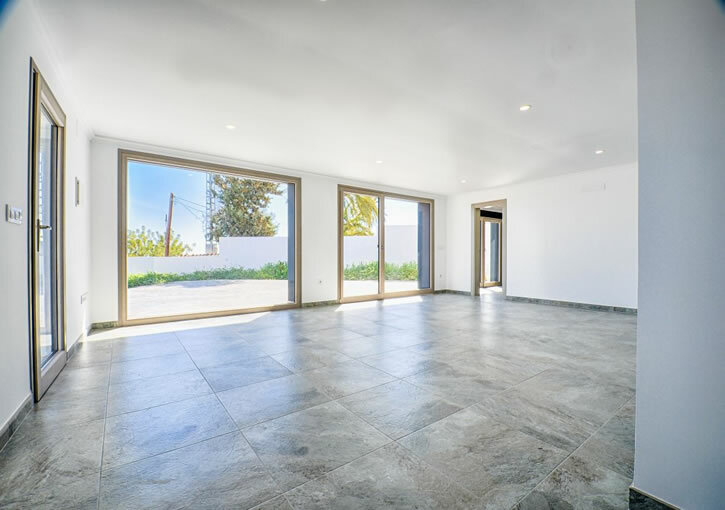 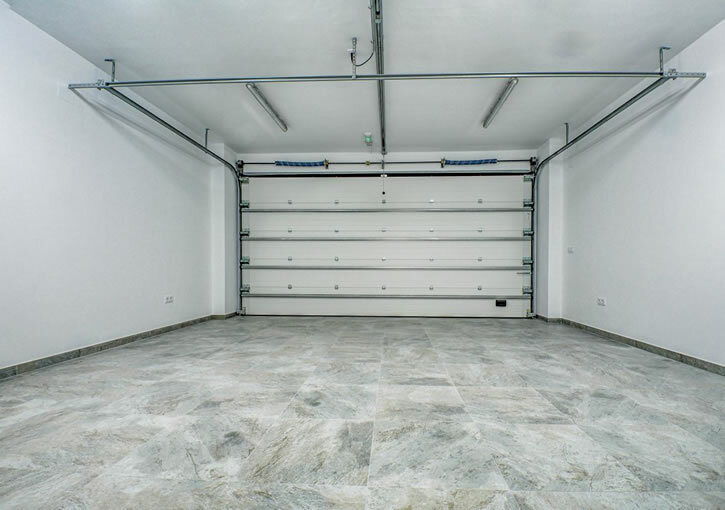 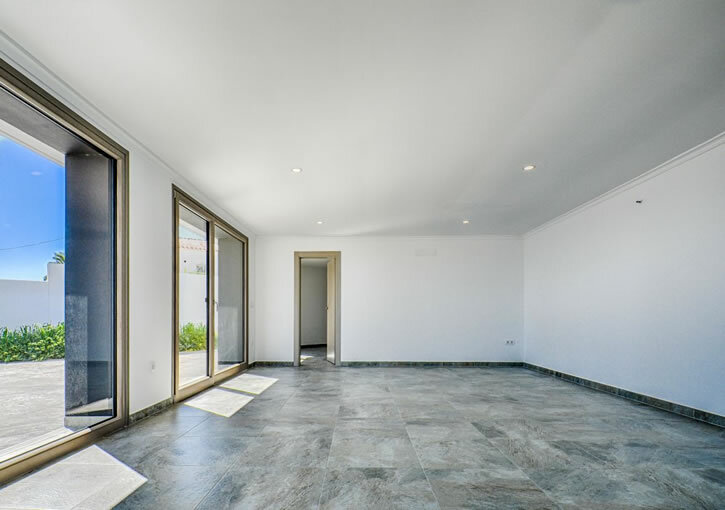 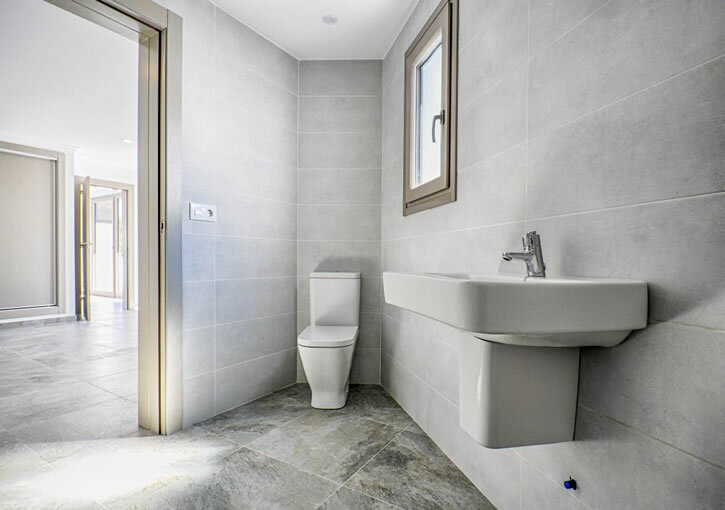 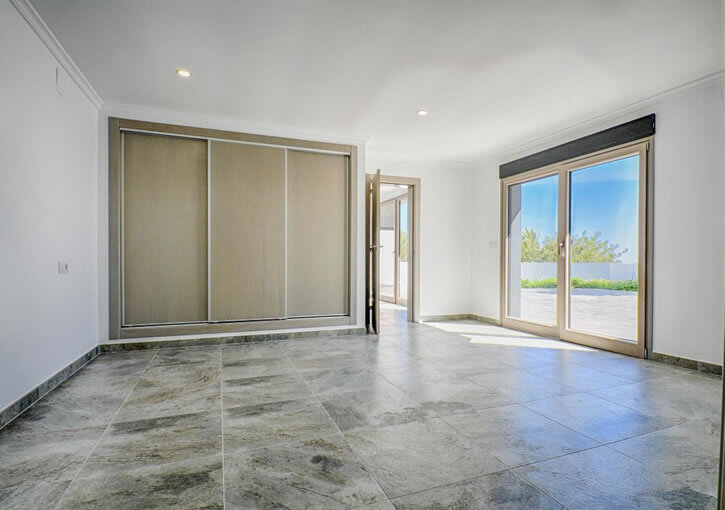 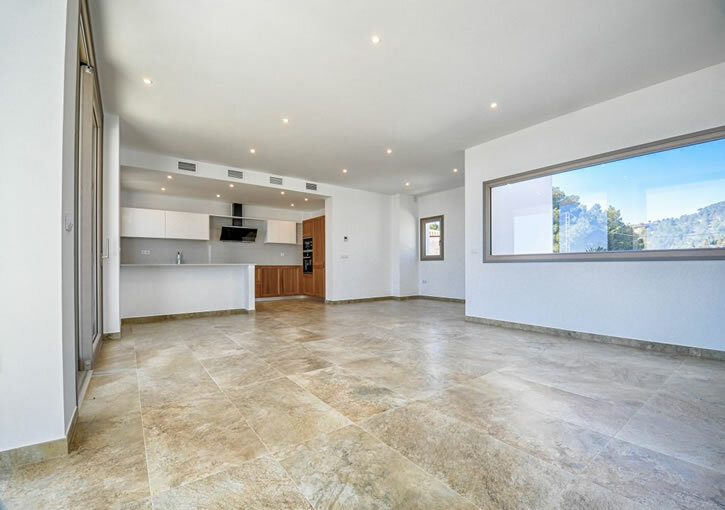 There is also a double garage with automatic door, entrance hall to the villa, utility room and a very large multifunctional room where you can have a gymnasium, home theatre, bodega and / or workshop. 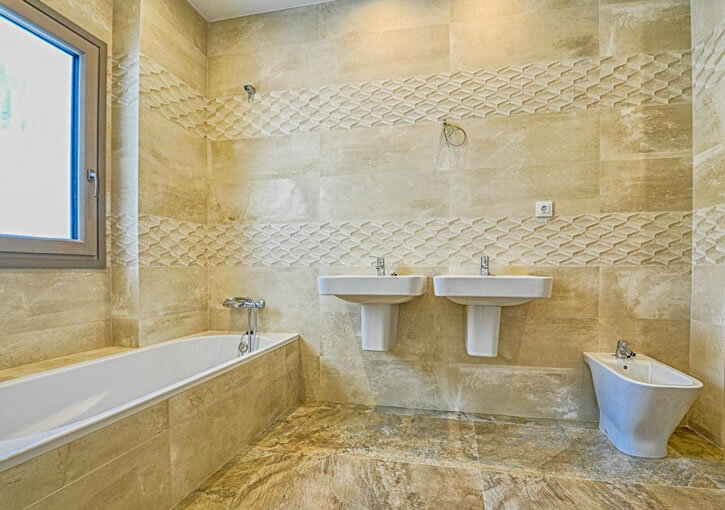 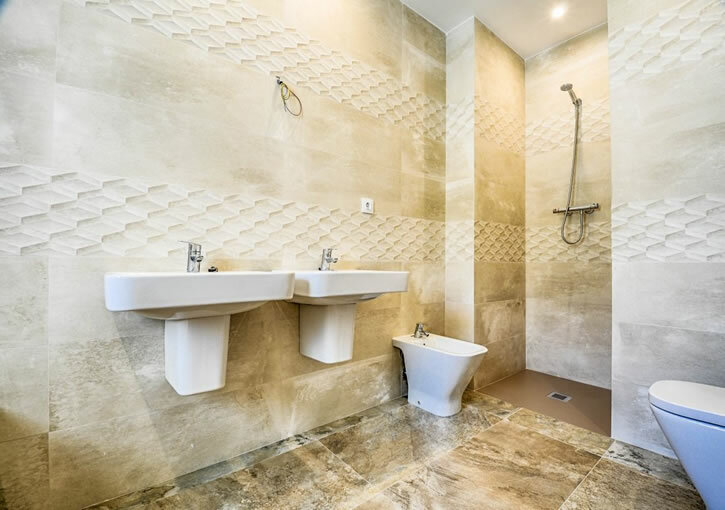 One floor up, you find three bedrooms (one with walk-in wardrobe and en-suite bathroom) and another bathroom. 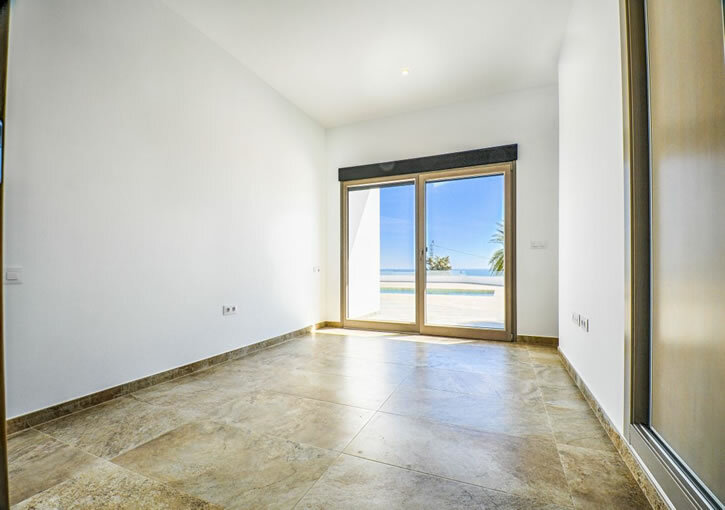 All bedrooms have direct access to the majestic pool terrace of 200m2 with great sea views and the large pool (9,5 × 4,5m). 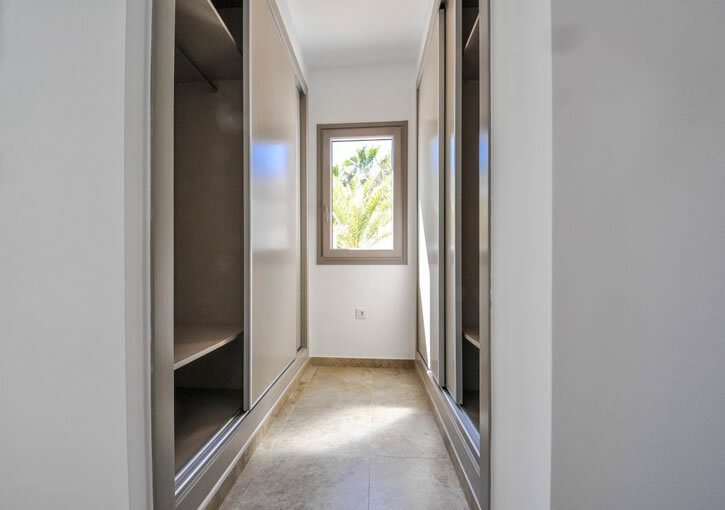 There is a double height living room with the most amazing sea views, a large partly covered terrace, a fully equipped American kitchen and a cloak room. 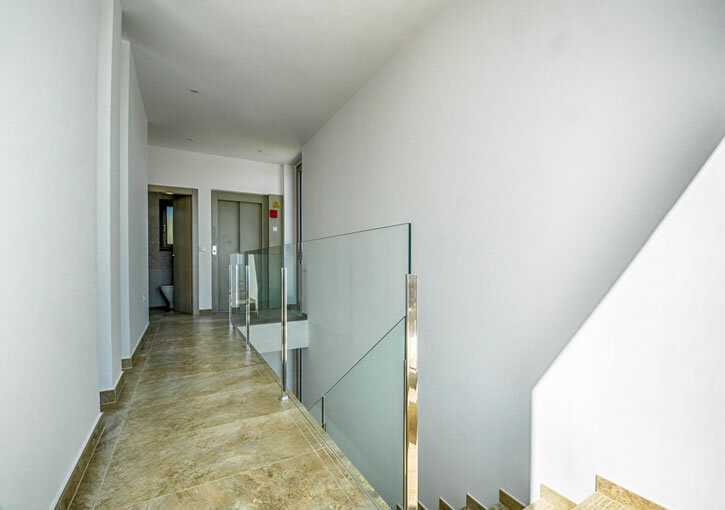 The access to the plot is through automatic gates with security cameras, where there is ample parking place. 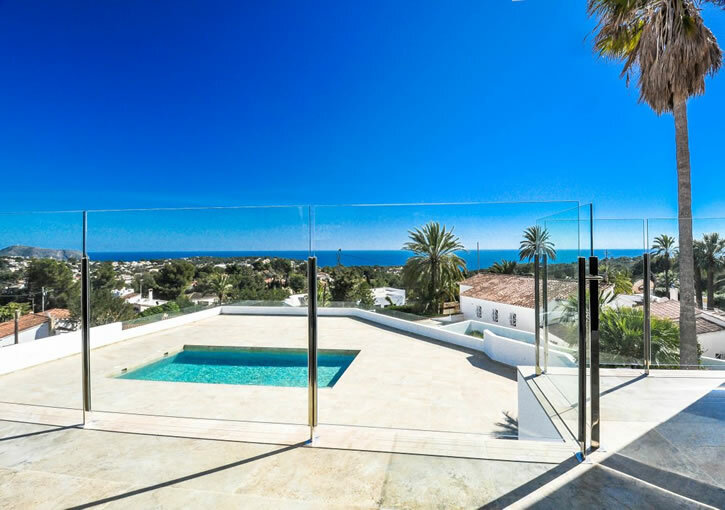 Around the villa are many areas to establish a lush garden, various terraces, sunny and shady spots or chill out areas. 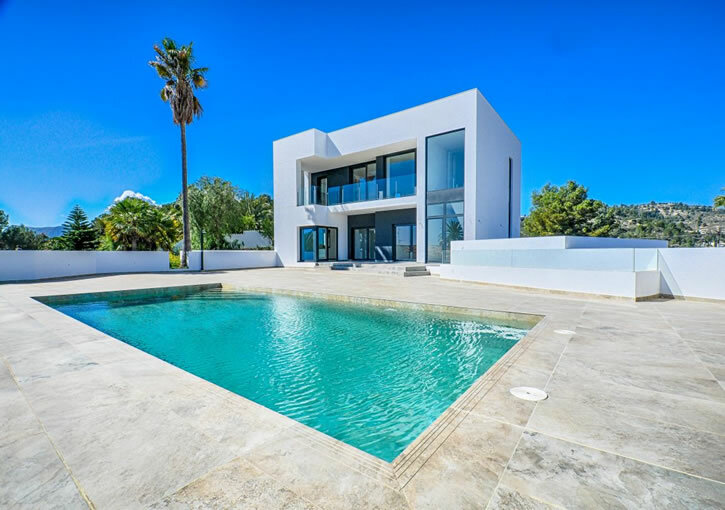 Optional: large pergola / summer kitchen on the pool terrace, video security system, complete landscaped garden and installation of upgraded sanitary units.